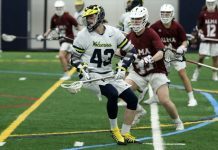 The University of Michigan-Dearborn lacrosse team added a special addition to the team this offseason who has a bit of a longer commute than most athletes on campus and will go down in history for it, too. 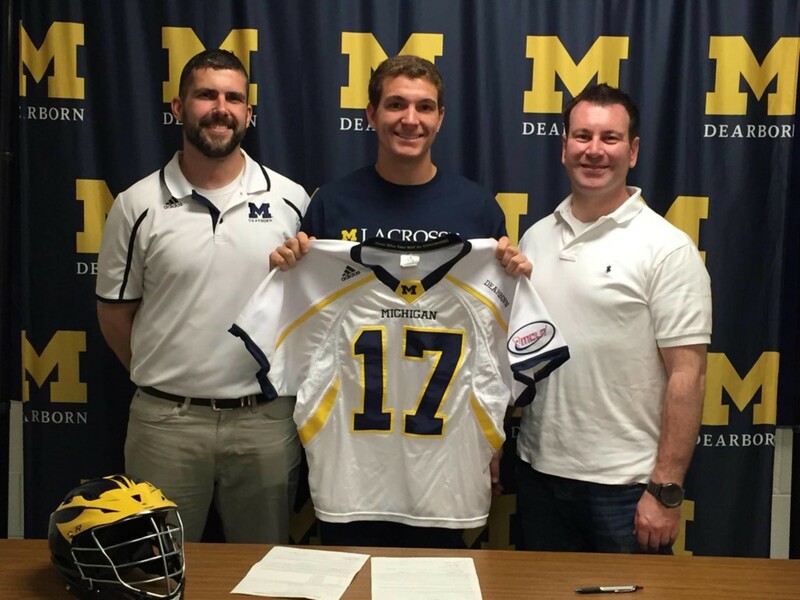 James “JP” Hatch is from Los Angeles, Calif., becoming UM-Dearborn’s first out of state recruit in the lacrosse program’s history. Hatch comes from Loyola High School, where he helped his team win the US Lacrosse California Southern Section championship in 2016. Loyola was ranked 5th in the state of California for lacrosse in 2016 according to MaxPreps.com. 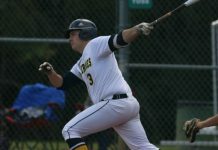 Hatch filled out a recruiting profile at UM-Dearborn, and assistant coach Mike Wagner picked up the phone as fast as he could. 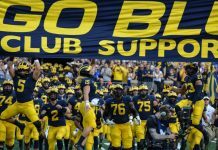 It wasn’t a fluke decision for Hatch to head across the country to play for UM-Dearborn; he has some tight knit ties here in Michigan. The majority of Hatch’s family is from Saginaw, and he says he has spent holidays and summers in Petoskey. Although he has lived across the country most of his life, moving to Michigan has been a fairly easy transition. 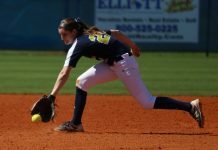 Hatch brings a great amount of talent to UM- Dearborn. As an attackman, he’s a quick thinker on the field and can adjust in any situation he’s put in. Being so quick with his hands and feet prompts opposing teams to draw their defense towards him, giving his teammates great opportunities to take more open shots. Add in the fact that Hatch also has left and right hand capabilities makes him a huge threat as an attackman. “Quite simply, he is a major contributor, and a good teammate who will make others better,” Wagner says. Hatch is already starting to leave a mark on the lacrosse program. Wagner says he has made a big impact in Hatch’s short amount of time in Dearborn. “He is someone that everyone enjoys being around and learning from,” Wagner adds. In his first semester majoring in mechanical engineering at UM-Dearborn, Hatch has earned a 3.67 grade point average which would qualify him for the Dean’s List. Next fall he plans to try out for the lacrosse team and transfer UM-Ann Arbor to continue his education. Hatch says he loves being in Michigan now and enjoys being able to step away from the big city lifestyle of Los Angeles. Most importantly, Hatch loves what he’s surrounded by since making his move to the Great Lakes State. “Having a community and group of friends from the day I arrived on campus has been easily the best part,” Hatch says. UM-Dearborn looks to improve from their 2-9 record last season, and it seems Hatch will be a huge part of the process.